Image: David Fisher, Jim Smeal/Shutterstock. Ready for a serious case of FOMO? 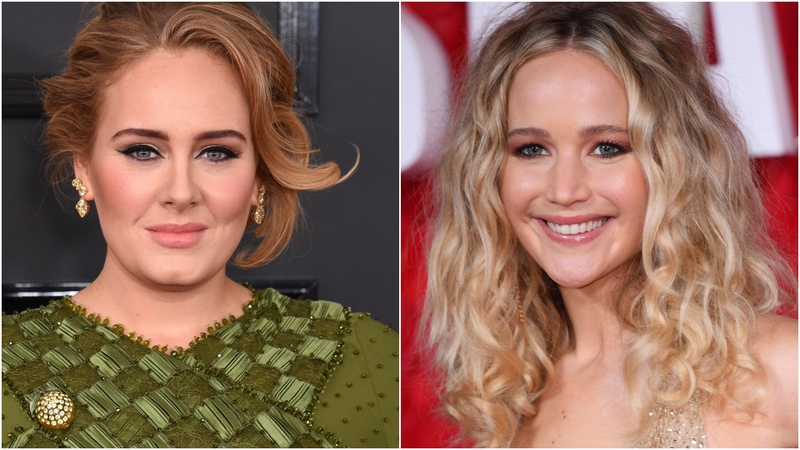 Adele and Jennifer Lawrence crashed a New York City gay bar on Friday, where they proved they know how to have a rowdy good time on girls’ night. And if you’re imagining perhaps the two superstars tried to roll incognito, think again — to the delight of surprised fans, Adele and Lawrence took center stage. Literally, they got on the bar’s stage and ended up entertaining everyone in attendance. According to ET, an eyewitness claims that Adele and Lawrence arrived with a group to Greenwich Village’s Pieces bar and, at first, kept things low-key. But the high-profile pair caught the attention of the crowd when they started playing drinking games with the bar’s drag queens. “No one really noticed they were there until the drag queen asked to do a game and Adele volunteered. All of a sudden, I see Adele on stage and was like, ‘WTF? That’s Adele!’” the spectator told ET. Then, in a moment the crowd clearly relished, Adele and Lawrence participated in musical shots. When Adele lost her round, Lawrence playfully tackled her, yelling, “How could you lose? !” This prompted drag queen Brita Filter to joke, “Jennifer, this isn’t Hunger Games,” before inviting Lawrence to play. Hilariously, Adele feigned mock indignation, screaming at Lawrence, “You’re f***ing engaged. You’re not even relevant to be here!” Lawrence, who got engaged to fiancé Cooke Maroney in February, naturally had a comeback. First, she replied, “That has nothing to do with my drinking abilities.” Then she won her round. Feel free to join us in henceforth forever regretting our decision to stay at home, watch Netflix and eat frozen yogurt on a Friday night when we could have been living our best life with Adele and J-Law at a gay bar in NYC.